Part diet, part motivation, The Shoe Diet is the perfect weight loss book for shoe lovers. Dr. Isabelle R. Shaw shows you how to shed the pounds realistically by “taking small steps – in fabulous shoes!” She believes all women can lose weight by rewarding themselves for healthy behaviors, because they are most likely to repeat those behaviors. What better way to treat yourself than with a great pair of shoes. 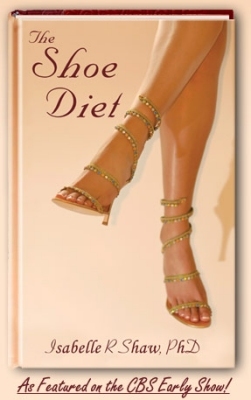 Visit TheShoeDiet.com for more information and to purchase your copy for $12.95.